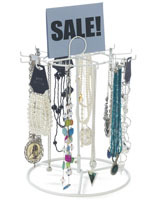 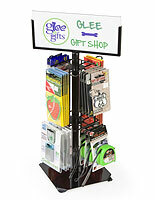 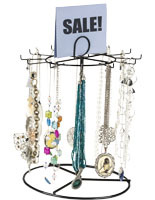 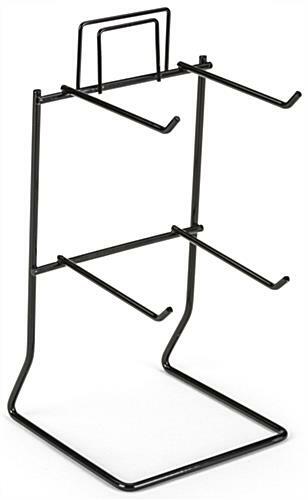 This black keychain display rack is a great store fixture to hang small items for sale. 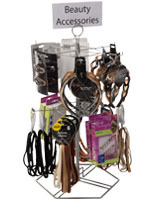 With steel wire construction and a powder coat finish this product will fit in any retail setting. 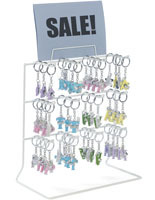 The four hook keychain display stands is designed for use on a counter or display case. 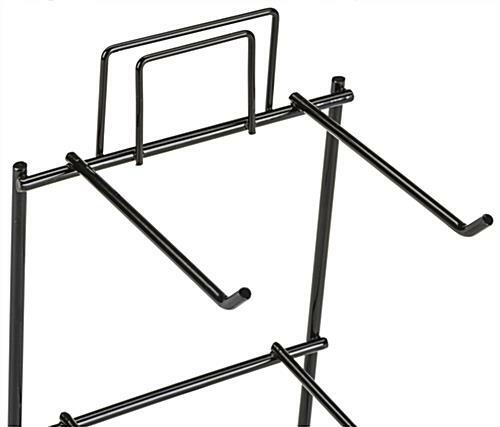 Each store fixture includes 4.5” pegs that curve upwards at the end to keep merchandise securely in place. 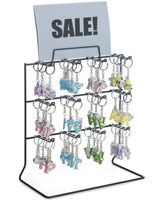 The keychain display demands attention with the built-in top sign holder for sale information. 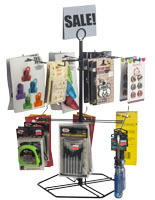 Place the stand on your counter and sell various merchandise from these practical hooks!